Feeling drained out with an ever-increasing shopping list for your BFF’s grand farewell? Or is the five-year old toddler driving you up the wall with impossible-to-achieve demands, barely two days before his first birthday bash? Well, as Mylo sang in his 2004 pop song, we advise you to ‘drop the pressure’, ‘cause here’s a list of five awesome places in Bandra that have all the party stuff you need and much more, to make your home party ready. If you've studied at a Bandra college, or visit the streets for shopping there, chances are that you've already visited Cheap Jack.This decades-old store at Hill Road in Bandra probably offers the best bargains under one roof for all your needs-be it party props, stationery, knick-knacks, candle stands, popcorn cups, bakery items, household goods, souvenirs, showpieces or gifts. Items are priced reasonably (you could probably get everything for your party under INR 1,000), and of course it saves you the trouble of visiting multiple stores. P.S. They have a mini-mall attached to the same store which specializes in party stuff for theme parties, festivals and more. Located right next to Cheap Jack, this store plays tough competition to the neighbors. However, when Mota’s isn’t displaying beautiful Christmas decorations and a wide variety of Xmas trees, they are a full-fledged party store that can provide you with things you didn’t even know you needed for your party. Prices are a little steeper than Cheap Jack here, but you could still pick up a good deal of stuff in under INR 500. The staff at Mota’s is very helpful. They often advise you in case you're stuck between two products, and have mastered the art of gift-wrapping. This store is a part of the same lane that houses Cheap Jack and Mota's. However, while it is the last in the line, it’s definitely in no way the least. 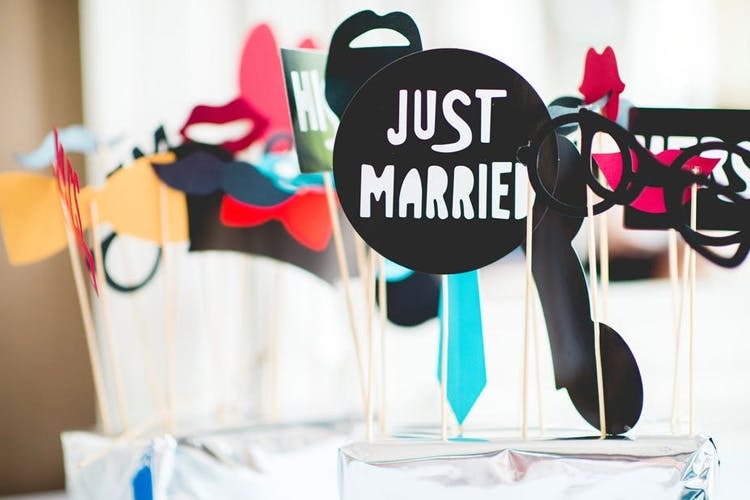 Shop for banners, cool party hats, naughty bachelorette props, paper plates, glasses, cool giveaways and fairy lights, as well as a host of other home décor and stationery items – all under one roof. Everything here is priced between INR 100 to INR 500. This one is a bit pricey compared to the three shops mentioned above. However, if you are keen on imported fancy party stuff that looks cool, head here. For theme parties and bachelor/bachelorettes, and cool games, Madcaps is a must raid. Your shopping here may set you back by INR 800-1500, but it will definitely be worth the price. You could always recycle the stuff for your next party, as the quality of these props are better than most party shops around. If you live in the Western suburbs in Mumbai, chances are you would have heard of Party Hunterz at least once. A huge store located opposite Candies at Pali Hill in Bandra West, this is the place to catch a great bargain deal. Be it Hollywood or Bollywood-themed get ups, eccentric party props, attire and more, prices here vary according to what you’re looking for, but the range is generally INR 500 and upwards.